When you apply for auto financing with Auto Credit Express, we ask consumers who have been pre-qualified to please refrain from applying for credit anywhere else until they have met with the dealership they have been placed with. Why? Having too many credit inquiries can be a red flag for the lenders they work with. Although the impact credit inquiries have on your credit score is modest, your ability to get approved for a line of installment credit (loans, mortgage, etc) can be diminished if you have multiple hard inquiries on your report that were all performed in a short period of time. Credit inquiries, or credit checks, happen when creditors, lenders, retailers, auto dealerships, mortgage lenders or whoever else pull a copy of your credit report from one or all of the credit bureaus. Hard inquiries: Those performed by lenders as a result of your application for credit. Hard inquiries can stay on your credit report for two years, and they can negatively affect your credit score for one year. For most consumers, each one will drop your credit rating by five points or less, according to FICO. Soft inquiries: Credit checks performed by those who aren't looking to loan somebody money. These include credit checks from you personally, businesses with whom you did not apply for credit (for marketing or other purposes), and potential employers. Soft inquiries will not affect your credit score. When you apply for multiple lines of credit in a short period of time, lenders start to look more closely. In their eyes, this can be viewed as a red flag of sorts because studies have found that people with many inquiries are much more likely to file for bankruptcy than those with no inquiries. Multiple inquiries indicate that the applicant is, perhaps, not living within their means, experiencing financial hardship with the result that they could be hurting their ability to repay these accounts successfully. For example, auto lenders calculate an applicant's DTI and PTI ratios. These calculations concern your monthly recurring debt and how much of your income is "available" to pay back a car loan. If you have many inquiries, then a lender will not be able to accurately calculate these important ratios because any obligations from credit that you may soon be approved for cannot be factored in. The bottom line: It's best to avoid applying for any credit in the six months or so before applying for a big loan. Many consumers who are in the market for a big loan, such as an auto loan or a mortgage, want to check the rates offered by many different lenders to find the best deal. This practice is known as rate shopping. Even if your rate shopping results in multiple lenders performing an inquiry, your credit score will not reflect this. Scoring models are able to distinguish the nuance of shopping for the best deal, so your credit rating will not drop for every inquiry that is made. In this case, the scoring models can determine that a consumer is looking to take out only one auto loan or one mortgage. So, they don't penalize you for checking out multiple lenders as long as it's for the same type of credit and the rate shopping is completed within a 30-day period. 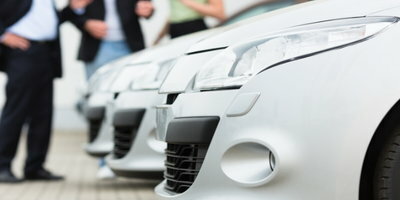 Will Auto Credit Express Run Your Credit? 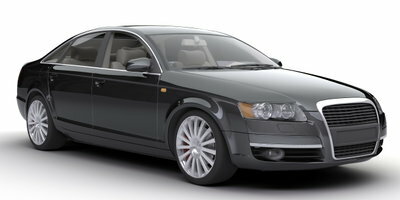 Many consumers who want to apply for auto financing with Auto Credit Express wonder if we perform a credit check. The answer: We do not run your credit, but the dealership that we place you with will. So when you apply with us, expect one credit inquiry to show up on your reports. If you have less than perfect credit, our free service represents the easiest way to find auto financing. We can instantly pair you with the dealership in your area that stands to give you your best shot at loan approval, regardless of your credit history. To get started, you only need to fill out our completely secure and obligation-free online application. The sooner you apply, the sooner you can be driving off the lot in your next vehicle. 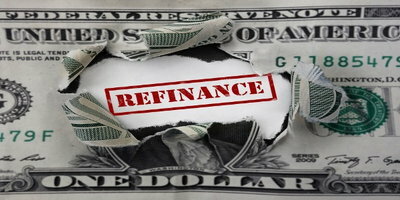 Can Refinancing Hurt Your Credit Score?